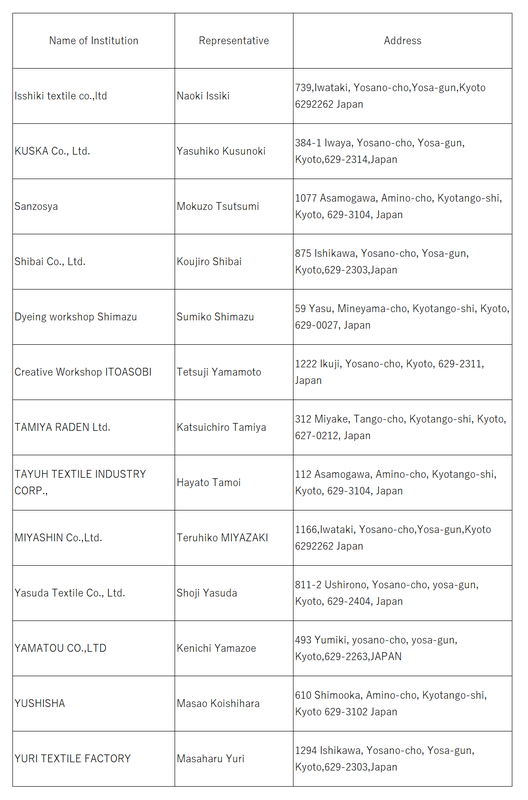 The executive committee of the “300 years of Tango Chirimen” project consists of Kyoto Prefecture, Miyazu City, Kyotango City, Ine Town, Yosano Town and The Tango Orimono Kogyo Kumiai (Tango Textile Manufacturing Association). This executive committee has designated institutions that will take up the newly designed “TANGO OPEN” logo and broadcast the future of Tango Chirimen to the world. Designated institutions are selected by a screening committee using specified criteria.